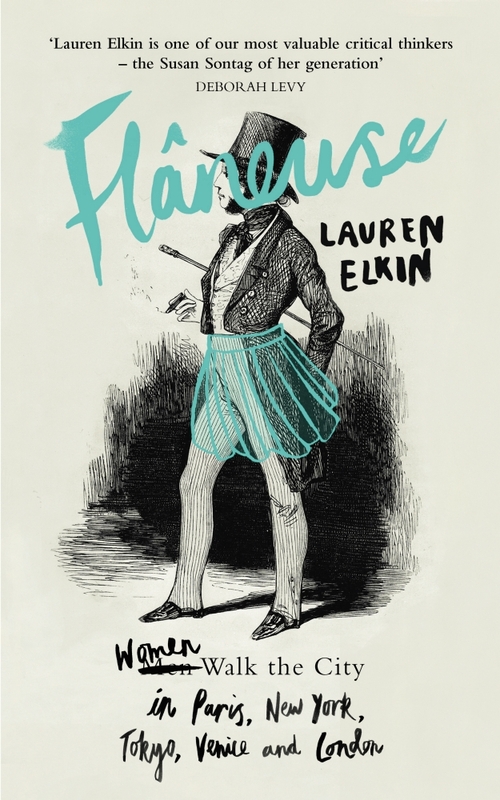 On Thursday June 22nd we present our first The Real Story: Live event of 2017, headlined by Lauren Elkin, author of Flâneuse. Part memoir, part biography, part cultural meander, this captivating book explores why women wander, what they’re looking for, and how, by putting one foot in front of the other, they can sometimes stumble upon different routes in their lives. It was Book of the Week on BBC Radio 4 and included on many best nonfiction of 2016 lists. We spoke to her ahead of our event to discuss creative nonfiction in the UK, Georges Perec, the Citizens of Everywhere project and her favourite nonfiction writers and essayists. Your book contains sections of literary criticism, place writing and history interspersed with memoir. How did you arrive at the right balance between personal narrative and external material in composing the book? Every chapter began with a particular person or work I wanted to write about, so I read and researched and wrote until I found some kind of governing trope or image or key in which to set the chapter. Then it was just a question of writing through the various ideas this generated – whether they were personal, historical, or critical – and then editing it down to a narrative that felt balanced and ready. You’re running a workshop for us inspired by the writing and techniques of Georges Perec. What do you find interesting about his work and his approach? I think a big part of it is Perec himself – he’s so random and unpretentious and funny. I really admire the way he turns otherwise banal bits and pieces of ordinary life into Writing – via lists, catalogues, projects, experiments. For me that’s going to the heart of the creative act: how do you turn your everyday world into art? You’re also involved in the Citizens of Everywhere project – can you tell us a bit about that? That’s a project we launched at the Centre for New and International Writing at the University of Liverpool in response to Theresa May’s comment that if you’re a citizen of everywhere, you’re a citizen of nowhere. That struck us as a really retroactive and also incredibly out of touch way of thinking about nationhood and belonging. So we decided to ask all sorts of people both in the arts and in other fields to think critically about citizenship in this new world order. We published a series of essays in the Guardian, the Conversation, the TLS, the White Review, and frieze, we’re hosting an event at the London Review Bookshop on the 20th of June with Shami Chakrabarti, Tom McCarthy, and Eloise Todd (of Best for Britain, an organization started by Gina Miller), and we’ll continue in the fall with a series of workshops on poetry and citizenship with students in the Northwest. At the Real Story we’re interested in spotlighting the essay and narrative nonfiction. What do you think of the current state of this form of writing in the UK? I think a lot of really interesting things are happening with nonfiction at the moment but I’m afraid it’s mostly coming from North America – I’m thinking of writers like Chris Kraus or Maggie Nelson or Anne Carson who are working across genres, pushing nonfiction into fiction and turning memoir into art-writing and poetry into essay; writing that’s totally committed to its own vision, writing that’s really sui generis. This is the kind of work I find really inspiring. In the UK I really love Deborah Levy’s non-fiction – Things I Don’t Want to Know is a book I return to again and again, and she’s about to publish a sequel to it. Finally, I really love Zadie Smith’s essays. I hang on her every word. Tell us about one writer of nonfiction you wish more people would read, and why. I think Maeve Brennan is pretty fabulous. She was an Irishwoman living in New York and published all these caustic, incredibly well-observed pieces about the city for The New Yorker under the pen name of The Long-Winded Lady. She’s just so witty and sardonic, I can’t get enough of her. Posted in Events, Interviews, News, Reviews and tagged CNF, creative non-fiction, essayists, essays, georges perec, lauren elkin, live literature, Maeve Brennan, non-fiction, nonfiction, Original Nonfiction, paris, Q&A. Bookmark the permalink.